With superior rate accuracy and eminent legibility, the RICHARD LANGE continues the tradition of scientific observation watches at A. Lange & Söhne. The solid-silver dial features the slender Roman numerals that were typical for scientific observation watches during Richard Lange’s epoch. In 1868, he was appointed director of the manufactory and advanced precision watchmaking with his insights and inventions. The timepiece owes its precision to a balance spring developed and manufactured in-house that beats at a rate of 21,600 semi-oscillations per hour. 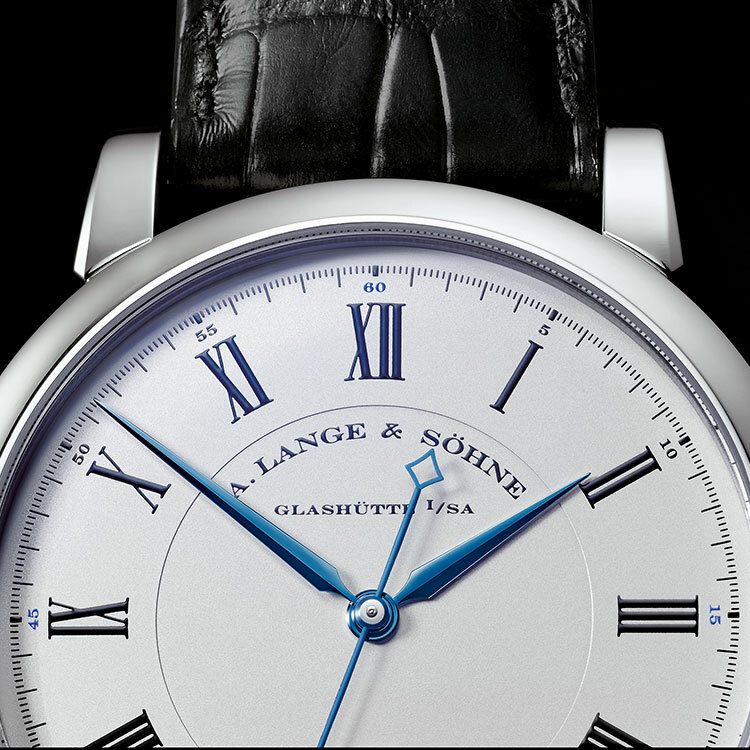 The sweep-seconds hand is made of blued steel and contrasts well against the dial. When the crown is pulled, it stops instantly. This allows the watch to be set to one-second accuracy. Readily visible through the sapphire-crystal caseback, the sweep-seconds wheel train is integrated between the three-quarter plate and a separate bridge. 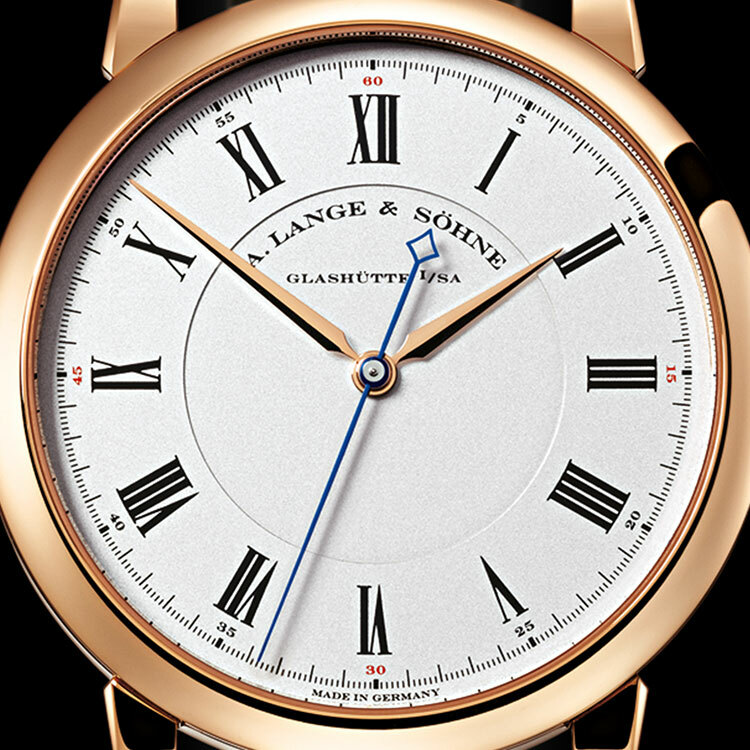 The short film shows the RICHARD LANGE and its precision-enhancing features: the slim blued central seconds hand, the clear dial with slim Roman numerals, the mechanism for the indirect centre-seconds drive and the vibrating off-set balance with the Lange balance-spring. Lastly, we see the correct operation of the watch demonstrated. The three-quarter plate that dates back to Ferdinand Adolph Lange ranks among the typical hallmarks of A. Lange & Söhne timepieces. For this reason, crafting a balance spring is one of the most complicated tasks in precision watchmaking, one that only very few manufactories master. Every facet of the RICHARD LANGE watch family is subordinate to two objectives: the ultimate in precision and outstanding legibility.